The primary mission of the Ebbetts Pass Fire Districts Fire Inspection Division is to enforce Fire and Life Safety Codes in the District. Fire Inspection of Buildings, Businesses and of Unimproved Lots: The Inspection Division enforces applicable provisions of the National Fire Protection Association (NFPA) Life Safety Codes and Standards, California Fire Code and the Ebbetts Pass Fire District Ordinances as it relates to life safety enforcement for the public. The division consists of the Fire Chief, On-Duty Shift Personnel and 1 part-time Prevention Officer. The division performs fire inspections on all commercial and residential properties of two or more living units, as mandated by the fire code. Plan Review: The District may plan review, examine building plans of new construction, as well as alterations to existing buildings. The review of plans may consist of fire alarm systems, fire sprinkler systems, fire suppression systems, exits, storage and propane gas line and tanks. 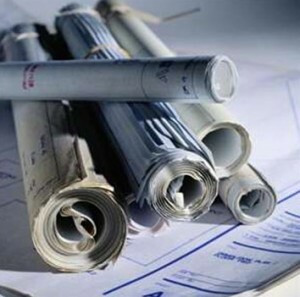 Plans must be approved prior to permit being issued by the Building Department. Fire Investigations: Fire Personnel may conduct fire investigations to determine origin and cause of a fire scene or may request assistance from the County Fire Investigation Unit. They also work in conjunction with the State Fire Marshal’s Office and Calaveras County Sheriff.